Neil Maskell and Myanna Buring play married couple Jay and Shel, two of the three characters at the center of the acclaimed Kill List, whose seemingly conventional middle class existence hides the truth of just what it is that daddy does (or doesn’t do, the cause of much domestic strife) to pay the bills. I spoke with Neil and Myanna last week, and it was clear that they were fond of each other and their director, and that the experience of making this violent and challenging film was not as horrifying a process as the onscreen action might possibly indicate. 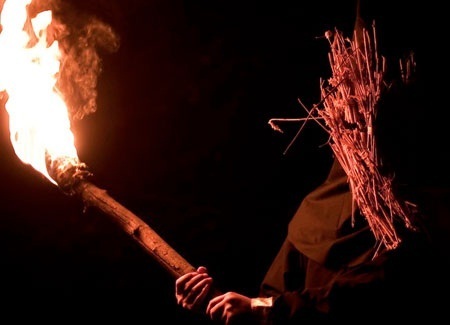 Kill List is out in UK cinemas this Friday, the 2nd of September and comes highly recommended – you can catch up on all of our coverage right here. I've worked in entertainment product development and sales & marketing in the U.S., UK and my native Canada for over 20 years, and have been a part of many changes during that time (I've overseen home entertainment releases on VHS, LaserDisc, DVD and Blu-ray). I've also written and commentated about film and music for many outlets over the years. The first film I saw in the cinema was Mary Poppins, some time in the mid-60s: I was hooked. My love of the moving image remains as strong as ever.